Elections are around the corner and rumors are rife regarding the use of money, liquor and lofty promises to entice voters. At the heart of this probably lies the ingrained human desire for easy money. The easy money culture seems to percolate through a lot of our institutions, governments and even churches. 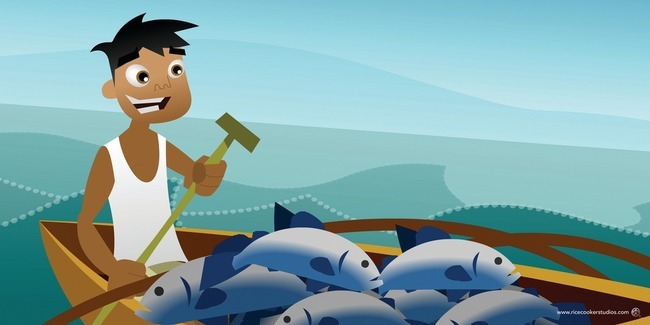 As the saying goes, “Give a man a fish and you feed him for a day, teach a man to fish and you feed him for life.” Has our attitude towards money taken a turn for the worse because of the huge handouts from the central government? In an article ‘Why Foreign Aid is Hurting Africa?’ published in The Wall Street Journal (March 21, 2009), Dambisa Moyo had put forward her views that foreign aid is only embroiling the African nations into a ‘cycle of corruption, slower economic growth and poverty’. She elaborated this issue in her book ‘Dead Aid: Why Aid Is Not Working and How There is Another Way for Africa’ and even strongly advocated that these foreign aids should be gradually stopped. Her contentions were based on the fact that ‘the insidious aid culture has left African countries more debt-laden, more inflation-prone, more vulnerable to the vagaries of the currency markets and more unattractive to higher-quality investment…. increased the risk of civil conflict and unrest. Aid is an unmitigated political, economic and humanitarian disaster’. This flabbergasting argument can be applied to the context of our own state – Nagaland. But the point of discussion here is not that of foreign aid. It is about the humongous central assistance being given to our state and how has the state responded or grown with these funds. Are the implications deleterious or desirous? What are the imperative steps needed to be taken to ensure a well-balanced growth path? Since 1969, Nagaland has been a special category state which enables the state to get preferential treatment in the allocation of central assistance. Under this category, a state gets 90% of the central assistance as grant and 10% as loan. These states also get excise duty concessions which would interest the businessmen and entrepreneurs to set up their business. Due to such provisions given to those states under this special category, Nagaland too has benefitted a lot financially. Added to this, the introduction of different centrally-funded programmes and schemes, Nagaland has been receiving funds perpetually. The data for the inflow of funds and its management cannot be covered here. But the motif is to see if the developmental works are really carried out with all the funds received. Just a glance would show something amiss. With this financial assistance and special provisions, has our state become dependent, corrupted, and impecunious? The state’s economy is surely heavily dependent on central funding. The Finance Commissioner to the Government of Nagaland, Toshi Aier, stated that ‘Nagaland is heavily dependent on central grants due to poor resources of its own revenue which is only 8% while the remaining 92 % comes from the centre’. A major setback is that the state’s economy has become inordinately prone to fiscal deficits. This is because the state is unable to generate revenue even to a minuscule proportion of its expenditure. Undoubtedly, the very nature of central assistance is to help the state come out from its backwardness and become somewhat independent. But for how long should a state be dependent with little or no revenue on its own and continue receiving special assistance. This leads to examine how are the funds being utilized. Developmental activities are certainly being taken up but not on a scale as much as the funds earmarked for such. The funds meant for development are shelled out only in pockets of the state while the rest of the money is siphoned off into the pockets. The level of corruption as such is deep-rooted and looks insuperable. The flow of money from the centre has aggravated this malfeasance. Akin to what foreign aids have made of Africa, the central assistance in terms of financial ones has made our state eddying into an ocean of debts, deficits, dependencies, depravity and dereliction of duties. The above vista does not mean that the economy has spiraled into a vicious cycle of ills and bitter pills alone. What is needed here is to cure those ills with bitter pills. Development of a state should not be done for personal gains. Sacrifices have to be made by ensuring that development or growth activities are not sowed for few but reaped by all. Nagaland still being only a subsistent and not yet a self-sustaining economy will need developmental resources from the centre. But this should be gradually phased out so as to enable the state to stand on its own. For such a day to arrive we need to have an effective, equitable and efficient governance. The bureaucrats should be apolitical and dedicated. Regular checks need to be carried out to ensure that no embezzlement or misappropriation of public funds is sinisterly and selfishly achieved. Scrutinizing of the activities of various beneficiaries under different schemes need to be taken up. Microfinance can be introduced and encouraged. The state would also need to set up its own industries and manufacturing units. For without having any such, the money would surely seep out of the state as is the case now. Local entrepreneurship should be supported and promoted. Political stability, peace and security have to be ensured. Infrastructural development should be taken on a big scale. Proper research and studies need to be conducted to envisage the right developmental plans. Only then will the trust deficits and fiscal deficits be swept away.